While there seems to be no definitive information in regard to how the velvety fur of the Rex breed came into existence, it is known that it was discovered around 1900, in France. Then, in 1929, the Rex had been imported and was accepted as a recognized breed with the ARBA; these rabbits had a weight average of 9lbs. 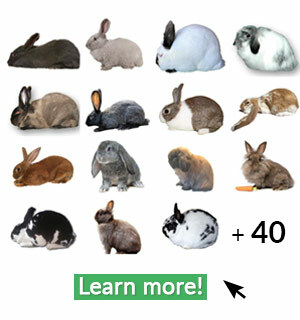 As the popularity of these rabbits increased, breeders in Europe began crossing them with Netherland Dwarfs, with purpose of creating a dwarf breed with the Rex fur. Those dwarfs were then brought into the United States and were added into recognition by the ARBA in 1988. Mini Rex rabbits are a small, compact breed that has a very plush undercoat and extremely soft, velvety feeling fur, which comes in a wide variety of colors. The recessive gene that causes this variation in fur causes the hair-strands to stand straight up, rather than lying flat against the body, as other breeds’ fur does. They tend to have a calm, easy-going nature; however that is not always the case so anyone interested in having this type of rabbit should be aware of each individual rabbits’ temperament to ensure that you are not getting one that is not aggressive. 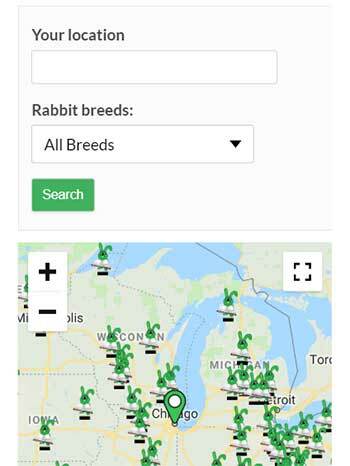 Furthermore, due to their small size, Mini Rex is a good breed for those who are not other-wise experienced in raising and/or showing rabbits. They make good pets, and are very popular at shows. How do I care for a Mini Rex? 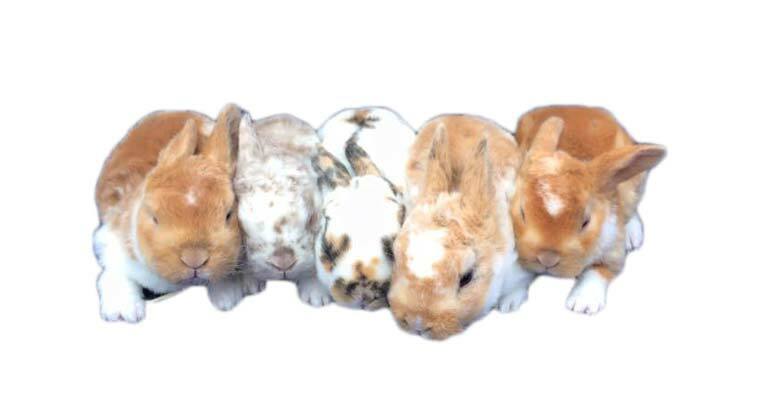 Due to their type of fur, Rex Breed rabbits should not be over-groomed; doing so will actually damage their fur. On average, it is best to use lightly dampened cloth or hands to rub over them, initially loosening the static and dead fur, and then they can be lightly brushed with a slicker style brush to pick-up the loosened fur. And as it is with all rabbits, Mini Rex should never be bathed. One notable difference between rex and other breeds is that their whiskers are curled up around their mouth/nose area, cheeks, and eyebrows. Due to this curling, length of whiskers should be frequently checked and trimmed, if need be, to prevent them from getting into the eyes, nose, and mouth. Lastly, the fur on their feet tends to be less-dense, which can cause them to be more prone to developing sore hocks. Otherwise, they should be fed fresh unlimited hay, as well as high quality pellets and clean fresh drinking water. Rabbit-safe veggies and fruits may also be given in moderation. Is my Mini Rex show quality? The best way to evaluate a Mini Rex is to pose it correctly, as a judge would if it were entered for a show. 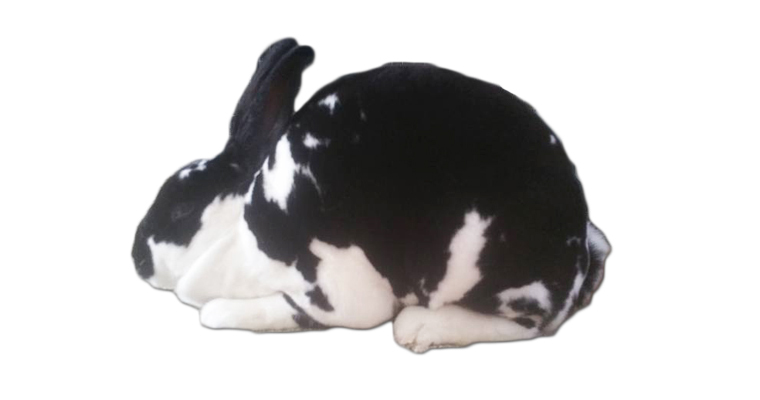 To do this, sit the rabbit on a flat surface and easily push the back end up towards the front-end , so the body has an appearance of half of a ball. 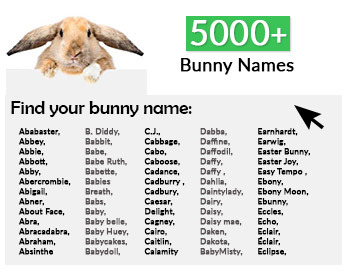 The bunny should be small and compact, wide and well-rounded, with a taper from hindquarter to shoulder. The arch should appear smooth, with the highest depth just above the hip, smoothly rounding off from either direction – to the shoulder (just behind the head) and then to the tail. It is best to avoid specimens that are long, narrow, and/or have any appearance of ‘flat spots’ or narrow on the shoulder, across the arch or on the rump, and ears that exceed 3.5” in length or that are thin or not well-furred. BODY: full, wide, well-balanced, with good depth; shoulder is taper back to hindquarter. Flesh is to be firm & tail is to be straight. HEAD: set close to the shoulder, balanced with body size; Face and jaws should be full. EARS: thick, short, carried upright and closely together without flange visibility. FEET & LEGS: straight, fairly short, fine/medium bone density. FUR: full and dense, an ideal length of 5/8th inches. Guard hairs are not to be noticeable, but are to be plentiful and well-dispersed, full of life, and plush with prominent resistance to touch.